Taxi, Bus, Limousine Service. 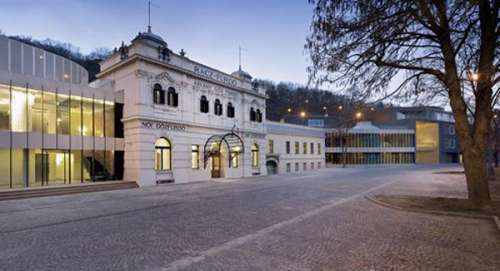 Transfer from/to Budapest - Spa / Bath / Wellness Hungary. 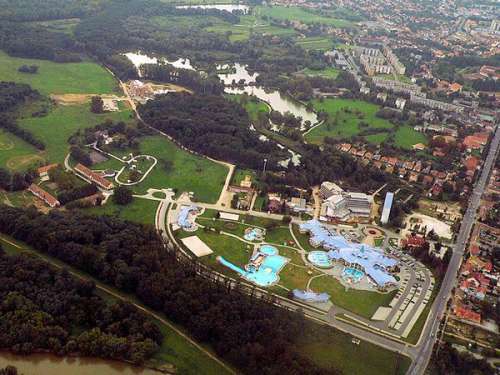 Its history as a bathing centre started during the Roman era with the foundation of Aquincum. In the period from the beginning of the 20th century a series of architecturally remarkable baths were constructed in the capital. Some of them were unfortunately damaged during the Second World War, but most of them were rebuilted since then. 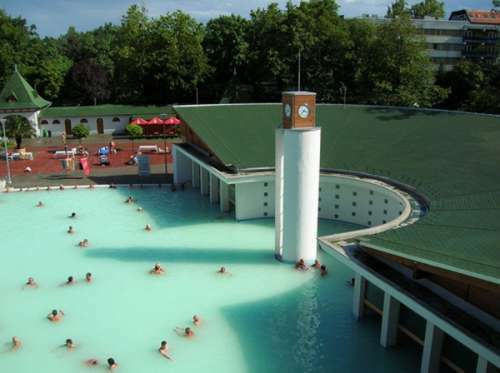 In 1934 Budapest officially received the title of “Bathing City” and in 1937, the First International Bathing Management Congress was held there. Besides the medicinal services the spas offer also sporting, leisure and fitness possibilities. At most places with excellent restaurants also accomodation is available. The calcium-magnesium-hydrogen-carbonate and sulphide-chloride thermal waters also contain sodium. They are beneficial for the treatment of degenerative articulation diseases, arthritis and the treatment of orthopaedic problems and accidennts. As a drinking cure the waters are effective for the cure of inflammatory diseases of the stomach, intestinal tracts, biliary ducts and the chronic catarrhal diseases of the respiratory tracts. Services: Physicotherapy department, underwater jet massage, tub-bath, carbonic tub-baths, sauna and wet steam hot-air chambers. Te sulphide-chloride thermal waters also contains calcium-magnesium-hydrogen-carbonate. They are beneficial for the treatment of degenerative articulation diseases and arthritis. Services: Medical massage, refreshing massage and underwater jet massage. The medical water is 70°C. It si beneficial for the treatment of rheumatic diseases, degenerative and inflammatory, stomach and intestinal tract diseases, locomotor and neurological rehabilitation and regeneration. Services: Rheumatic, internal, orthopaedic, dental treatment, x-rays and laboratory services. The calcium-magnesium-hydrogen-carbonate and sulphide-chloride therminal waters also contain sodium and fluoridion. They are beneficial for the treatment of degenerative articulation diseases, arthritis, slipped disks, neuralgia, vasoconstriction and circulatory disturbance. Services: Male and female thermal and traction baths, carbonic-tub-bath, tubbath, underwater treatments, water-jet massage, hot- and dry-air chambers, Finnish sauna, mudpack, physicotherapy, gingival shower, inhalation, medical massage and refreshing massage. The calcium-magnesium-hydrogen-carbonate and sulphate thermal waters have a high fluoridion content. They are beneficial for the treatment of degenerative articulation diseases, arthritis, spine deformation, slipped disks, neuralgia, skeletal calcium deficiency and the treatment of injuries. Taken as a drinking cure the waters are good for treating stomach, intestinal tracts complaints and chronic catarrhal diseases of the bilary ducts and respiratory tracts. Services: Complex physicotherapy hospital department, thermal bath, mudpack, mud lake bath, traction bath, carbonic tub-bath, electrotherapy, medical massage, refreshing massage, medical drinking cure. The calcium-magnesium-hydrogen-carbonate and sulphide-chloride medicinal water also contains sodium. It is beneficial for the treatment of arthritis subacute and chronic gout, Bechterew disease, chronic lumbago, muscular rheumatism, neuralgia, and other inflammations and chronic orthopaedic diseases. Services: Thermal, fitness saloon, medical massage and refreshing massage. The calcium-magnesium-hydrogen-carbonate and sulphide-chloride radioactive thermal waters also contain sodium. They are beneficial for the treatment of degenerative articulation diseases, arthritis, slipped disks, neuralgia and skeletal calcium deficiency. If taken as a drinking cure the waters are effective in treating stomach diseases, intestinal tracts, biliary ducts and chronic catarrhal diseases of the respiratory tracts. 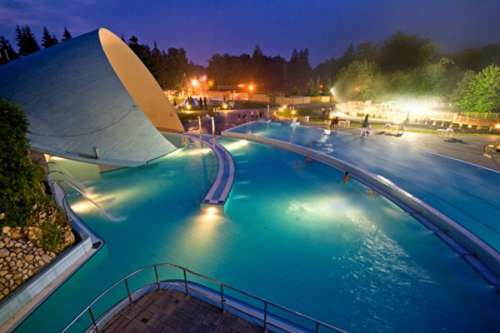 Services: Thermal bath, Juventus thub-bath, underwater jet massage, steam chamber, drinking cure, medicinal and refreshing massage. Medicinal tourism in Hungary has a past going back to thousand years. 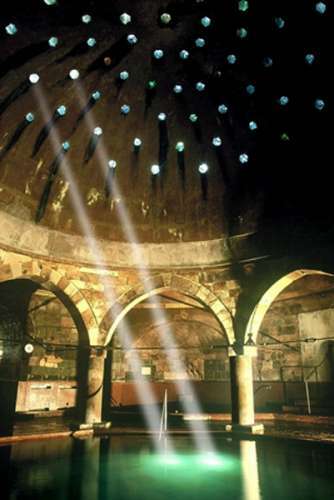 The country is rich in thermal and medicinal water, almost 70% of which still remains to be tapped. 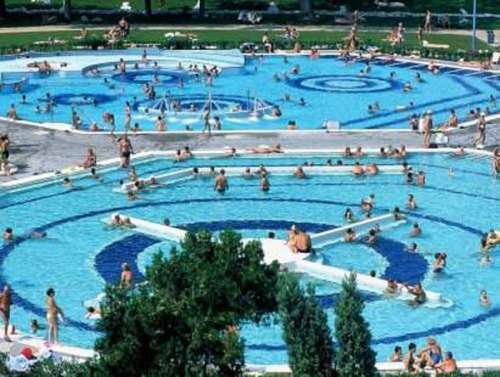 The unicum of this town and swimming complex is that the visitor can find thermal spas, the subterranean lake Varhegy and cave pools in one place. The air in the caves is beneficial for catarrhal diseses. 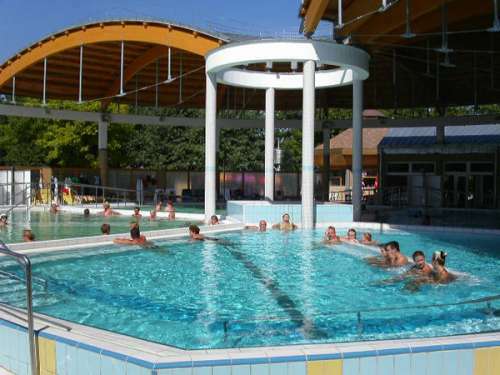 The swimming complex in this town is set in pleasant wooden surroundings. The outdoor swimming pool is opened only during the summer months, its unique cave pools are open all year around. The pools have recently been extended and renovated. 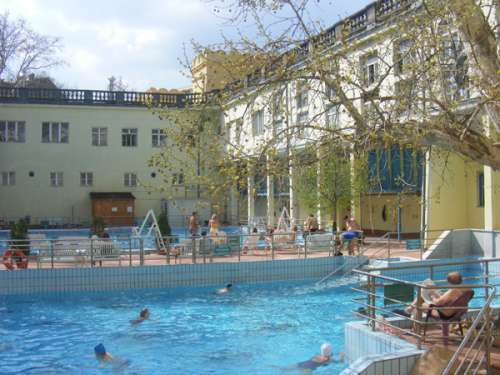 Thermal spa is located on the northern part of the town. The 63°C hydrogen-chlorid-carbonated alcalian water has been started to use as a medical water only recently. 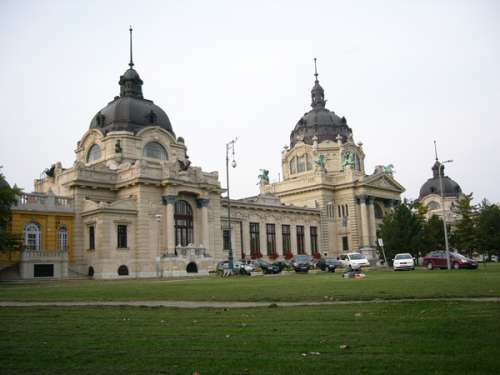 The second largest city in Hungary has been the intellectual and also political center of the country for many centuries. Now It is the center of the eastern part of Hungary. 37 kms far from the town lays Hortobagy, and its 220 km far from the capital. 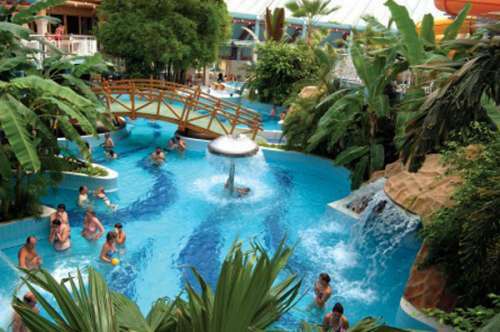 The youngest thermal resort in Hungary lays on the western part of the country, only 122 km from Vienna (Wien) and 202 km from Budapest. Thermal wells were found there only 25 years ago. The 58°C hot medical water has very high content of iron, calcium, magnesium and hydrogen-carbonate. They are beneficial for treatment skeletal deficiency, as treatment of injuries and for treatment of spine deformation. As a drinking cure the water is used as a teratment of supeacidity of stomach. 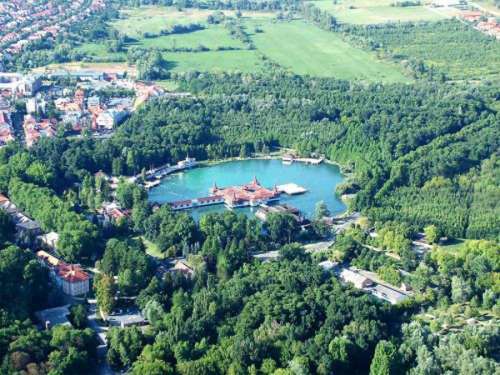 This thermal resort lays only 21 kms far from Debrecen, the second largest city in the country, and very close to the well-known Hortobagy region. The swimming complex and the spa itself which stand next to the road number 4 cover a huge area. Recently the spa has benefited from having been updated. It can now offer the very latest therapies. It offers to the visitors 19 covered and open pools. The alcalic, hydrogen-carbonated water contains high amount of fluoridion, iron, iodid, bromid, and more than 20 types of dissolved mineral substances which together with iodid makes the water brown. The 73-78°C water and mud contains also estrogen. The water is beneficial for treatment of skeletal calcium deficiency and treatment of intestinal tacts complaints, treatment of gynecological problems. It is along the fault line running along the southern borders of the Villanyi Hills that the medicinal waters come bubbling up to the surface. The most famous of these springs are at Harkany whose sulphurous and alkaline hydrogen-carbonate waters are a much sough-after. 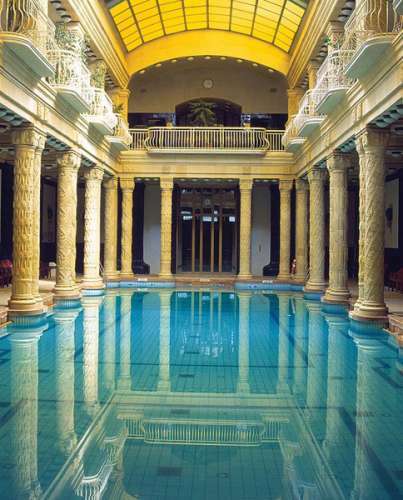 It is a combination found at only six other spas in Hungary. The water is beneficial for treatment of degenerative articulation diseases, as a treatment of injuries, gynecological problems, inflammatory problems and infertility. As a drinking cure is used for treatment of stomach and liver problems. 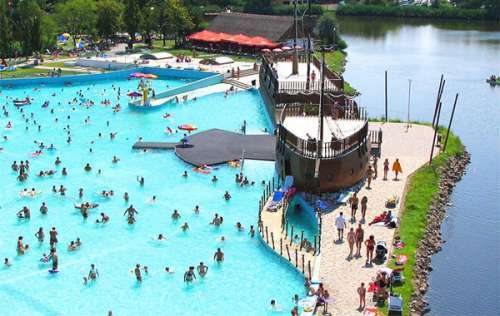 This small town in Hungary is famous for its Thermal Bath, which has the second largest thermal lake in the world!! The temperature of the water is 35-36°C, and even during the winter the surface temperature does not drop under 26-29°C. The water flows through the lake at rate of 410 l/sec, meaning that the 80 million- litre lake is replenished every two days. This old town which is located 120 km from Wien and 193 km from Budapest has a very long history. It was very close to a main rout of the ancient roman army, from the 16th century it had been the center of culture and studies in that region. Its 83°C spring bubbles up to the surface from 2000 m deep, the water contains alcaline, chlorids, bromid, iodid. It is used as the treatment of astmathic problems, degenerative articulation diseases, reumatism, neuralgia, infertility and as a treatment of injuries.